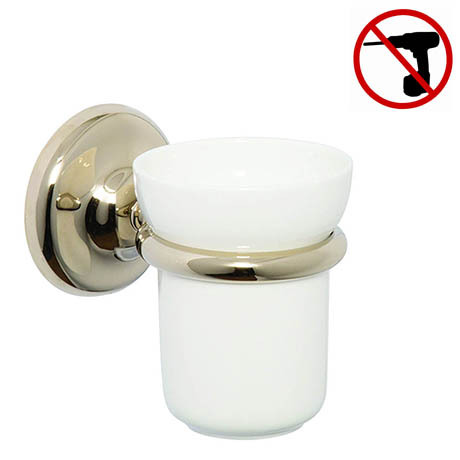 The Grosvenor Gold tumbler and holder adds a touch of elegance to any traditional bathroom. It's gold accents and classic design make this a must have for any bathroom. Flexi-Fix products use a unique bracket that is so universal it can be used when replacing the majority of existing bathroom accessories by utilising the same fixing holes, regardless of spacing or alignment.